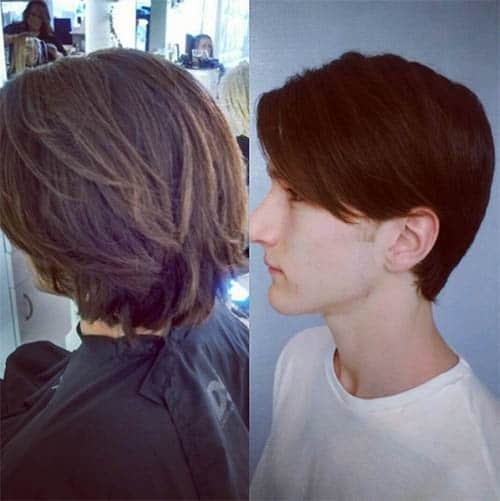 If you have been regularly struggling with styling your thick hair, it could be a wise idea to speak to a barber or stylist that can help you with a styling and easily managed cut. Getting a great style with thick hair is possible and with many different styling options available. 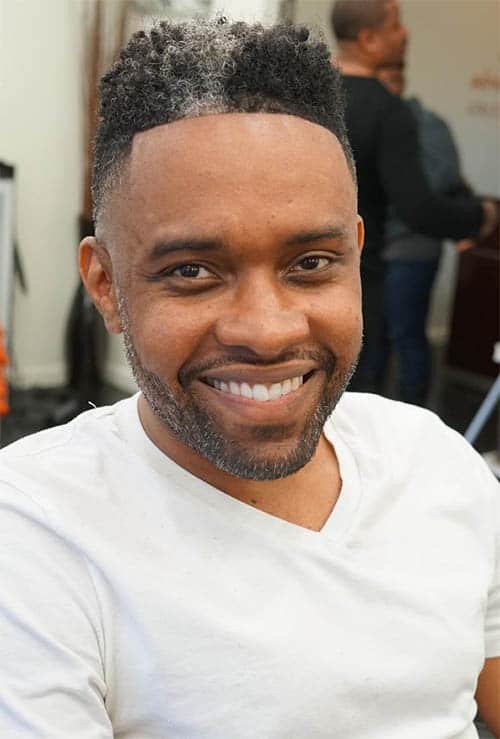 If you want to make sure you are getting a great haircut, just be sure to go to a barber or stylist that has plenty of experience with thick hair. Be sure to read below about some of the styling options that might suit you best. 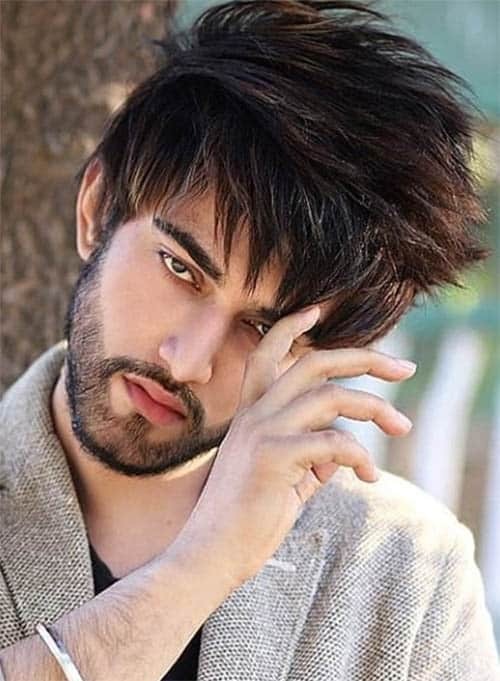 Thick sweeping bangs are a haircut for men with thick hair that is perfect for a chunky and beautiful format for the bangs. The sweeping bangs come down and frame the face and the look can be sculpted into something that is stylish and fashionable. This cut involves thinner sides while still keeping the thicker swept back bangs. 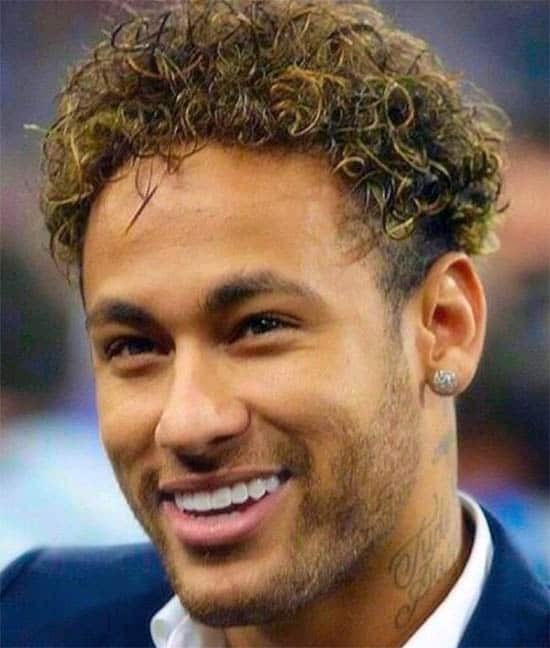 This could be the perfect look for someone that really wants to accentuate their long and thick hair in the front while lightning a bit of the extra hair along the sides of their head. The noble razor cut is a style that has been available throughout generations. 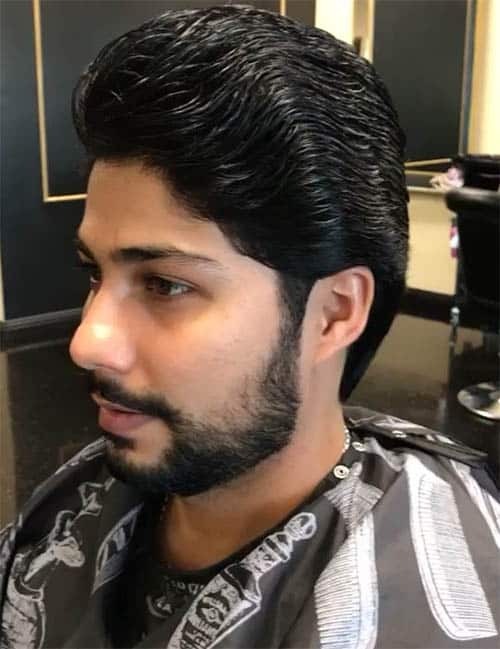 The look itself involves a straight razor shave so it’s extremely smooth and the noble look at the bit of extra depth to the look of the cut as well. 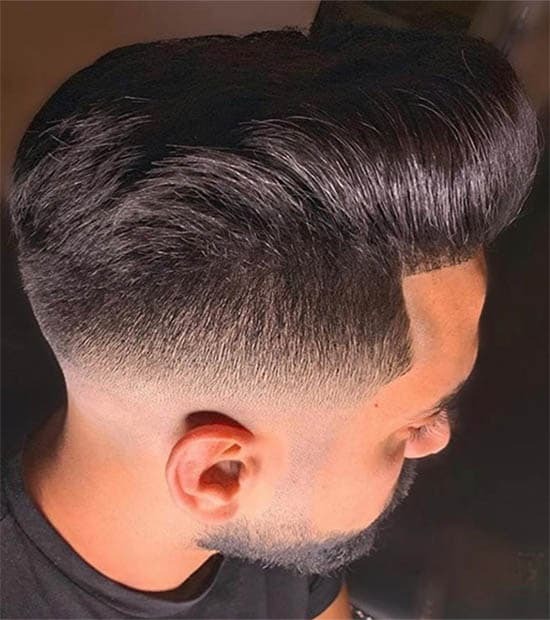 A simple fade cut can be perfect for people with thick hair because it can cut out some of the extra weight and heat on the top of the head. The properly shaved fade can also create a beautiful look for the haircut that can be squared off well. 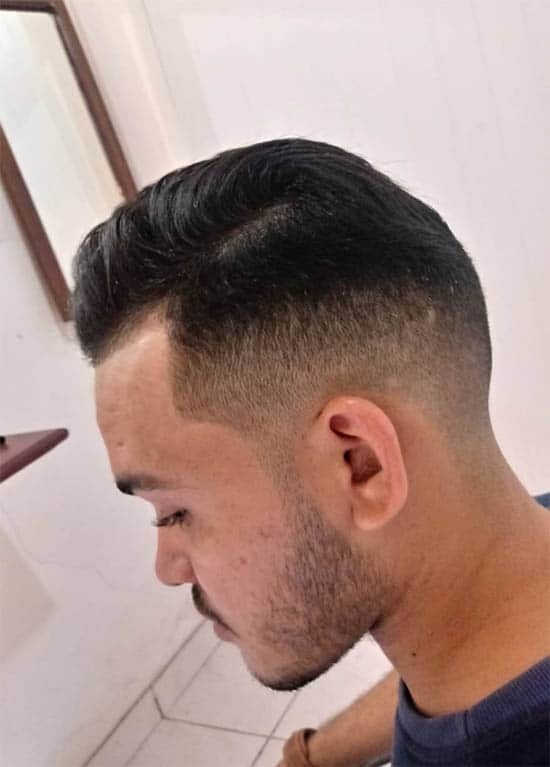 This square fade has become a popular look for business and more. The thick side part is one of the perfect looks for people of any age. It offers a clean part in the center as well as added depth with the thicker hair. 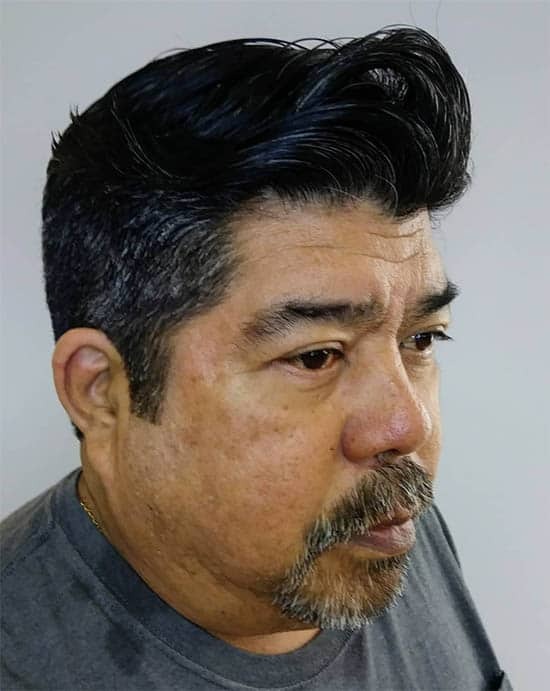 Although some thinning shears may be required for the pronounced part, this is a nice way that you can enjoy a very manageable style in a thicker cut. The clipper curl involves a quick trim around the sides with the clippers. 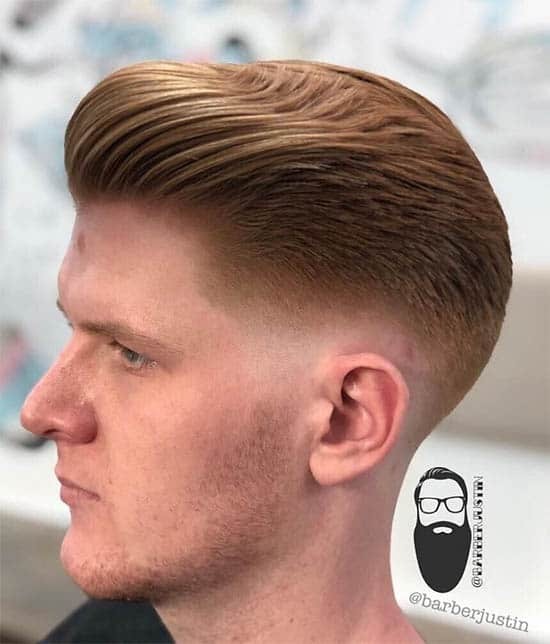 Unlike a straight razor fade, this is a more classic look that can produce a pompadour without all of the added weight on top. This clipper curl is an extremely quick haircut that leads to clean results and a popular/professional look. 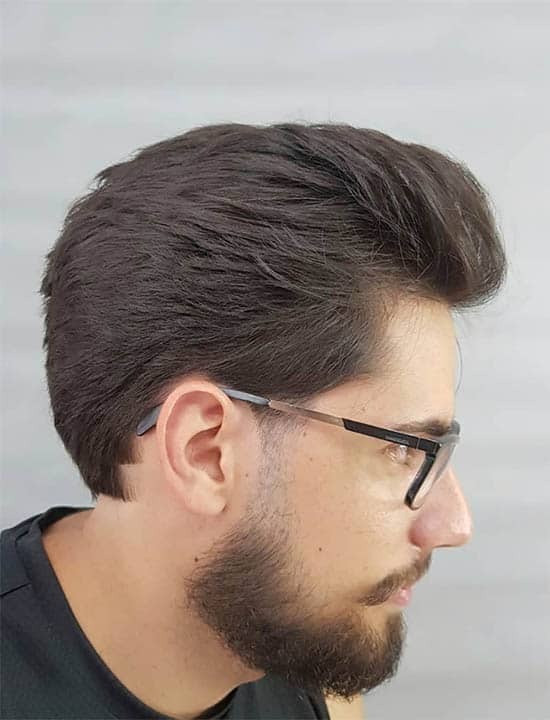 The clean pompadour is a shorter style pompadour cut that can be ideal for someone that wants a shorter look for their hair without the longer bangs. This clean style pompadour is a little bit less punk rock and a little bit more business casual. 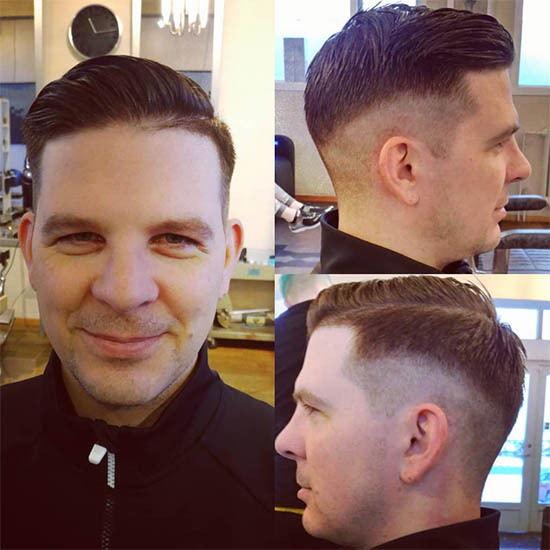 The short slick pompadour involves a much shorter trimming to the sides and back. 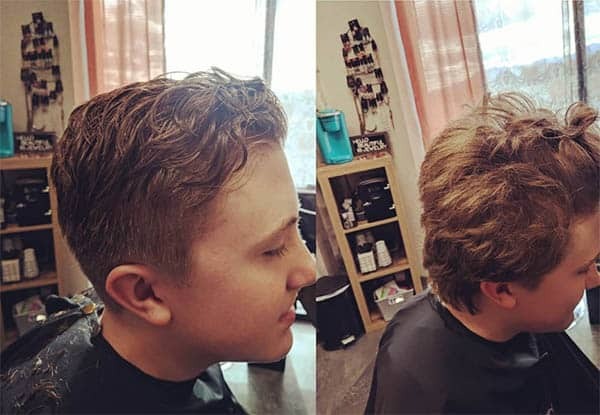 Using a straight razor or sharp electric clippers it is possible to add a deeper fade into the look of the cut as well as add some extra length to the top of the head by using the added length. The madmen part embraces the 1960s style and showcases a simple part that is common throughout the show. 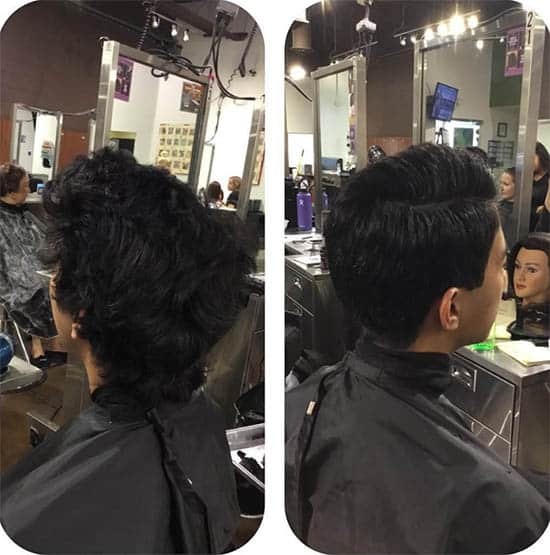 The mad men part is a fun and unique style that has become very popular today. 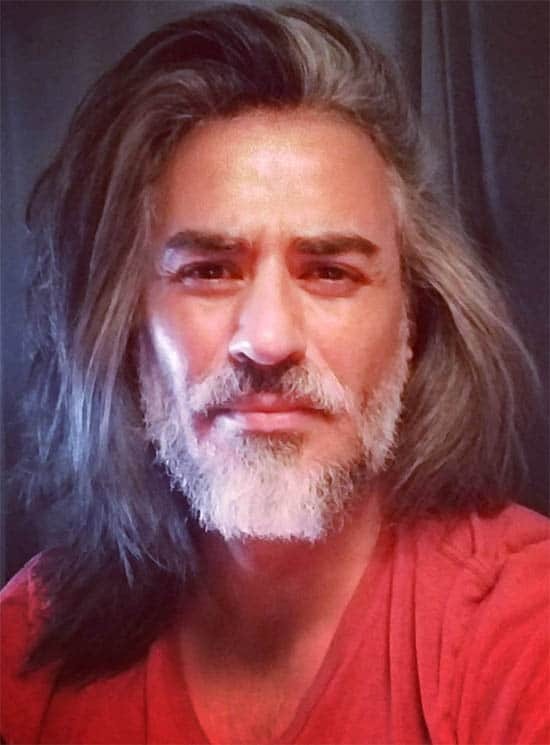 The styled overcomb is mostly done with a pair of shears. It can be the perfect way to style thicker hair without the use of a razor or shorter sides. In a way, this can add a fun way that you can style your hair without the need to be limited to a pompadour or side part. A classic line fade is a straight razor fade that has become a popular choice. It’s a great way to shed some of the extra hair and to produce a more pronounced fade from thick hair. This could be a great business cut or summer cut. 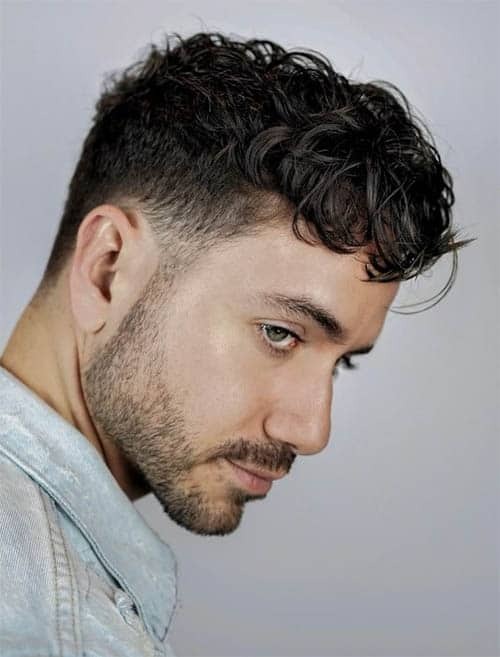 If you find that you tend to have curly hair a short and curl driven style could be a great way to you could embrace your curls while still getting a very professional haircut. The ideal length is perfect for thicker hair. This is a fantastic way to make curls more manageable. The trim curls are another very interesting way that you can have scaled back curls while embracing the longer style. Curly hair for this style can often take a little bit longer to get ready but it is a fantastic way that you can enjoy a longer curl that shows off thicker and longer hair. 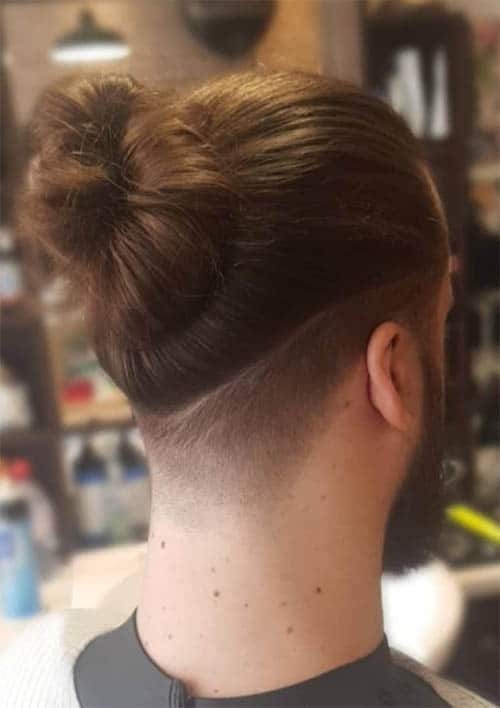 A traditional topknot has become one of the most popular styles for long hair today. This is a style that can be seen as a beautiful way to manage longer hair as well as maximize your modern style. This requires just a short trim to manage and it can create a very powerful and masculine look. Bold and straight long hair can often take time to manage but it can create a beautiful look. With just a minimal trim and regular help with managing the thick hair length for split ends, you can get a beautiful shape for long and straight hair. 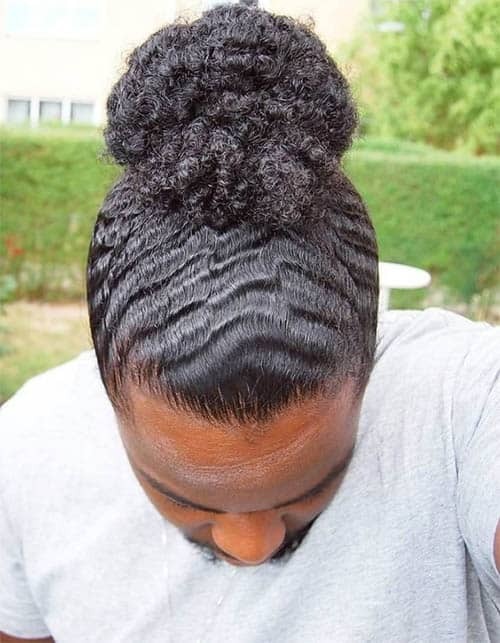 If your hair tends to curl into a tighter formation and remains thick, you could enjoy a shorter style that involves a little bit of gel and styling. This tight curl look is quite easy to maintain and also remains a very modern and fashionable solution for thick hair. 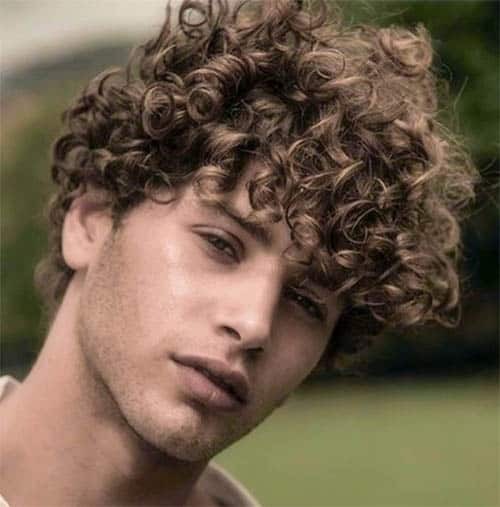 Similar to a shorter perm, the tight curl serves as a modern equivalent. The higher side fade is reminiscent of medieval style. The look here can involve a less styled side part and a much higher shaved side. This is a very modern style that will surely get noticed in a crowd. If you have thicker hair, it can often be difficult to see the fine lines in a fade so this can offer a better solution. The Mohawk style fade is a much edgier format of the traditional fade. Rather than a fade with a side part or comb over, you can use this thickness of your hair to produce a higher Mohawk style fade. The Mohawk fade is a popular choice for modern style and it can help with thicker hair. The spike fade is a higher style that emphasizes slightly longer hair with a traditional fade. 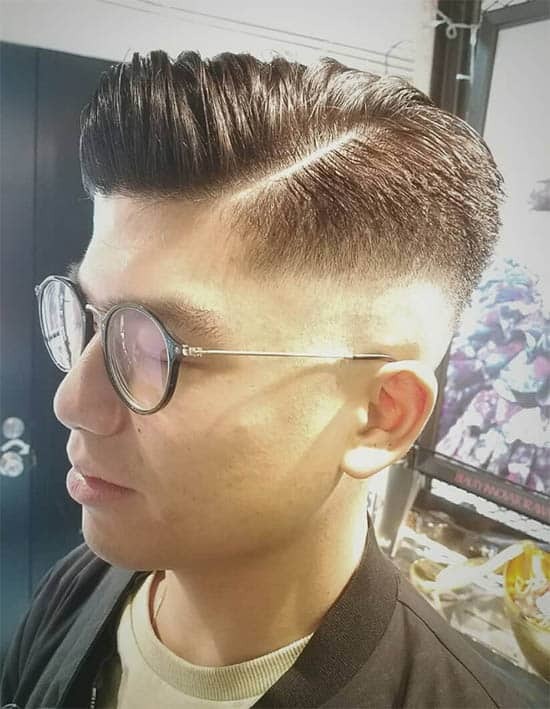 The look here combines more a flat top with a simpler fade design. With the spike fade, you can enjoy a format that is modern and perfect for thicker hair. 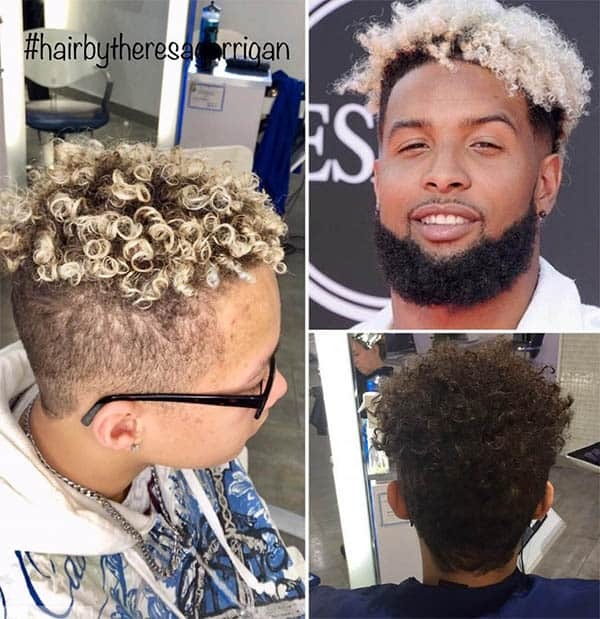 A tight dyed curl is a look that has become quite popular thanks to professional football player Odell Beckham JR. The tighter style curls can be accentuated with a number of different color options. By keeping the hair thinner along the sides, it can lighten the look and produce a modern and casual style. 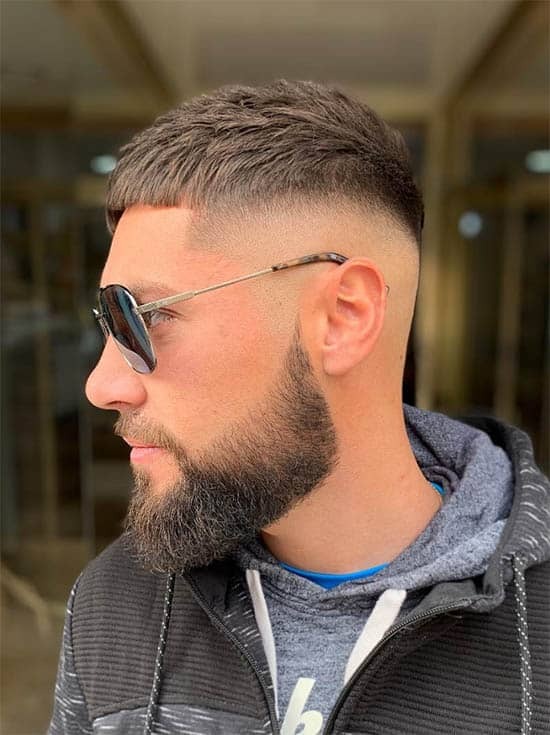 The classic high bang fade is a look that is perfect for thicker hair and a fade that you want to keep at a medium length. 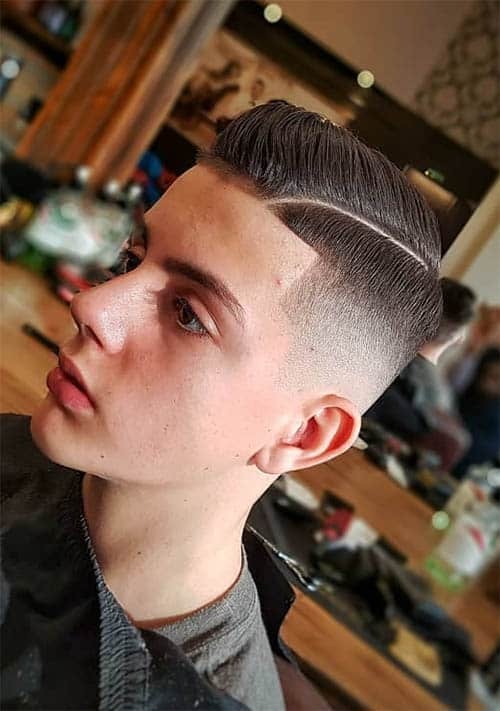 Rather than a shorter style fade, this is a look that can produce a longer style that is also very manageable to care for. The right side fade is a look that involves a much higher style of fade with an extra shave that is very close. Rather than having a look that offers shorter sides, having a fade where the look is done on the right side can create a powerful style. The modern high fade offers a shorter style fade that curls over and is styled towards the top of the head. 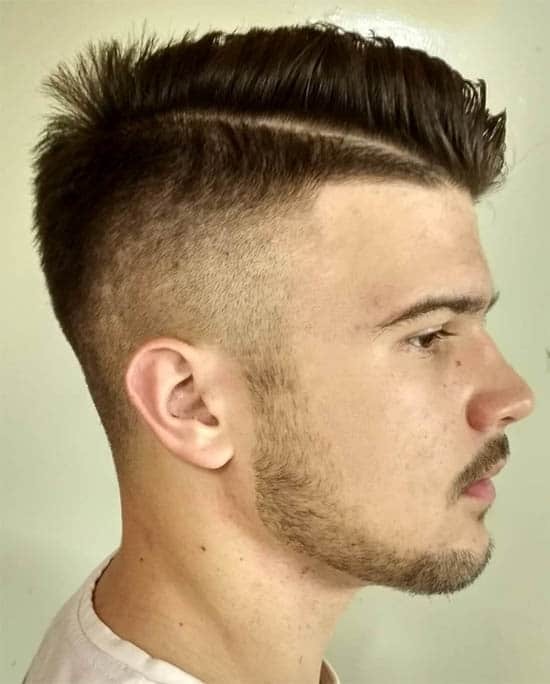 This style of fade is the perfect way to manage longer bangs while keeping a thick hair style. For a commendation between a traditional flat top and high fade, we see the sculpted bangs look. 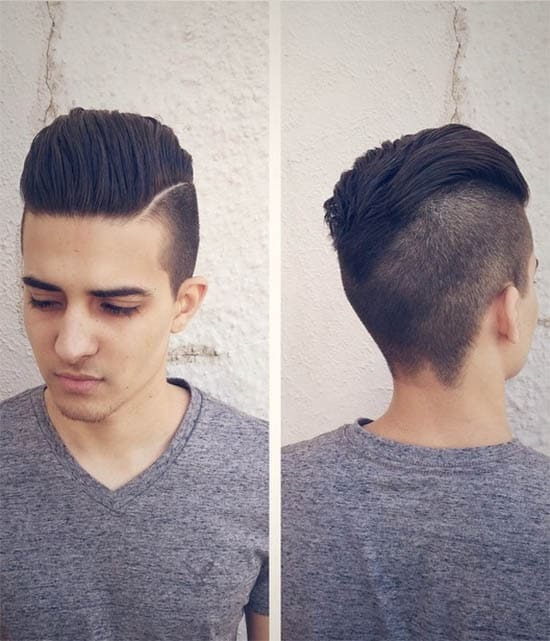 This is a squared off style that combines several modern hairstyles to produce a powerful cut for thicker style hair. The flat style pomp is an evolution of the traditional pompadour. It keeps the bangs longer with a waved back style. 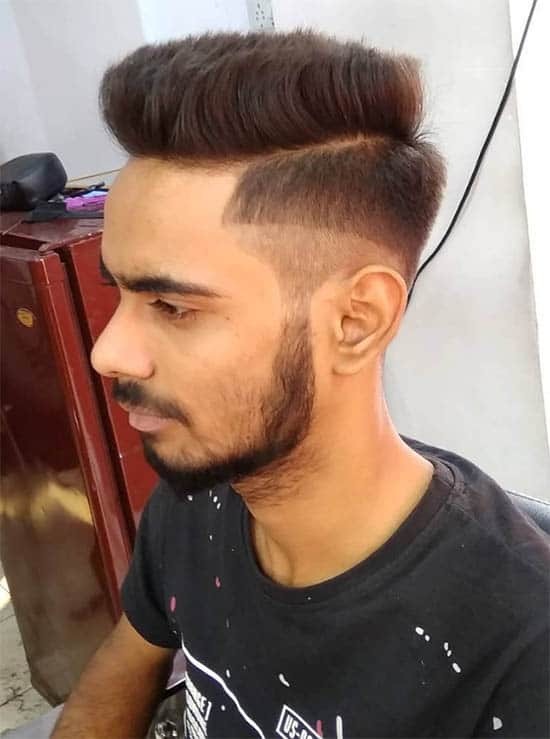 The sides are kept quite short off the ear and the bangs are regularly swept back to produce a thicker style and medium length pompadour look. 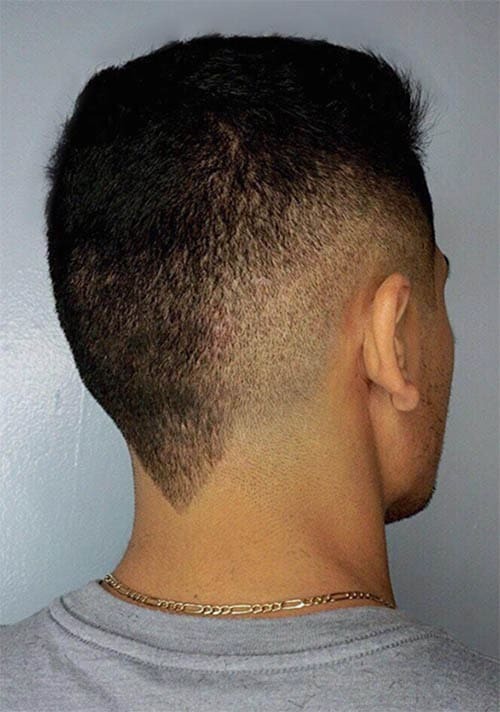 The skin fade is an ultrashort look from a traditional fade. 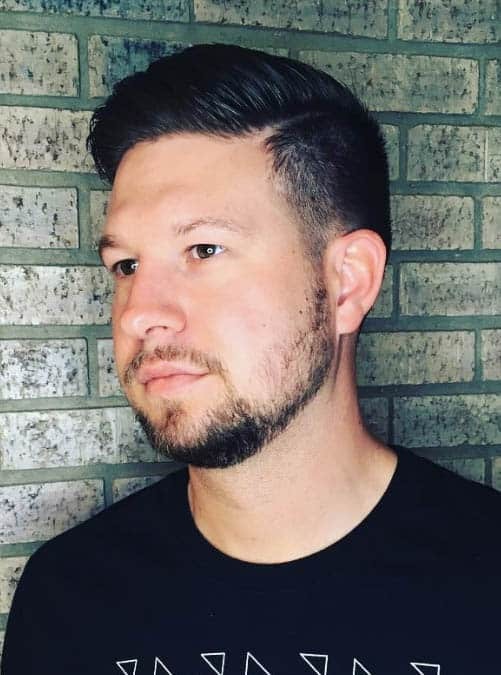 By really shaving down close, you can manage thick hair styles and enjoy a fade that can be best noticed with thick hair. 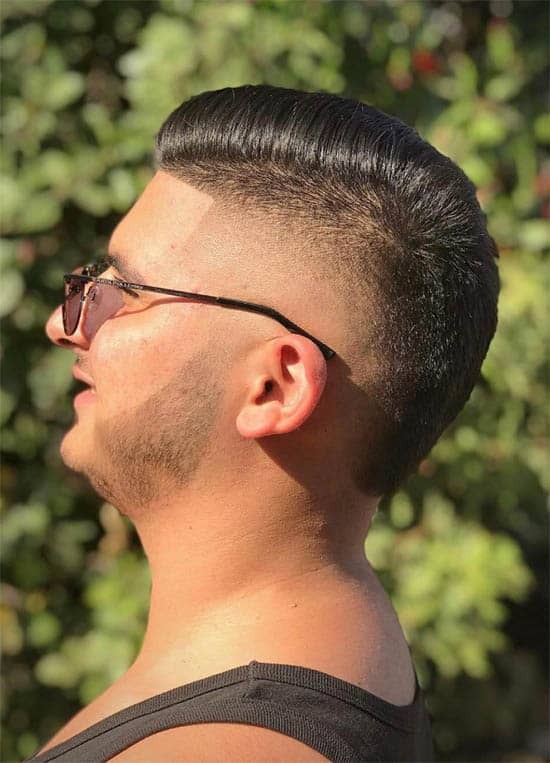 The skin fade is a powerful style and it can be a great summer look. The tapered long hair cut is something that was made popular first during the Viking age. 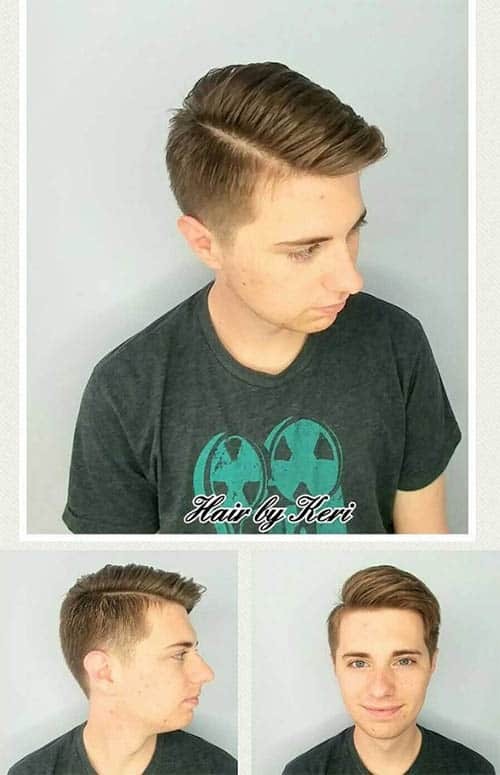 This look has come back and introduced a great way to keep hair off the neck and sides while offering a sharper look for longer hair. The low fade sweepback is a style of fade that brings back the bangs and the bulk of hair throughout the cut. With a tapered style and a sweeping look, this is an easy format to style and improve. 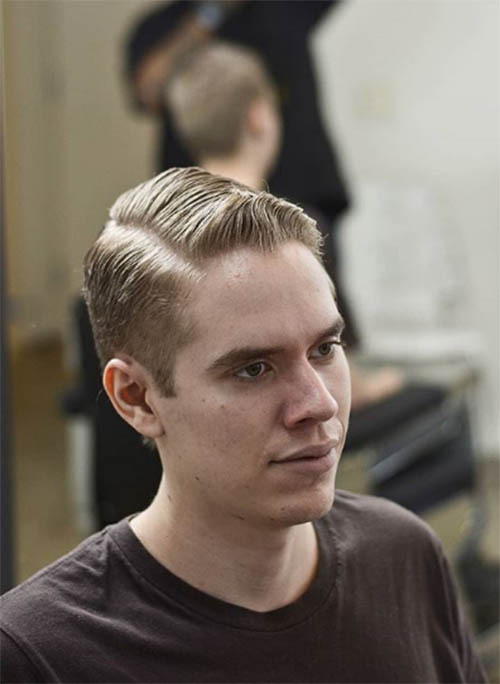 The short undercut is a side part with a bit of edge. The look here is something that can be highly fashionable for a variety of seasons. 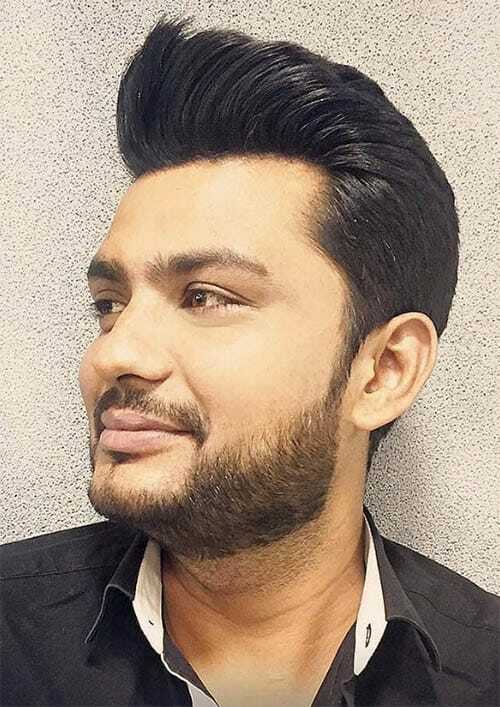 The squared off look and the striking shave can really create a beautiful shape to the cut and it is accentuated nicely by those that have thicker hair. The squared off pomp is a slightly different version of the pompadour. It can contain a striking look for the cut that generates a beautiful shape for the office or for going out. A squared off pomp is a take on this classic style that is a little bit preppy and nicely finished with a straight razor. The trimmed over comb is a look that is similar to the high shaved fade with a more aggressive comb and lines. The look itself is something that can be classic with a modern twist. The trimmed look is done mostly with shears and the sides can be done best by straight razor. The classic mid fade is a timeless look and perfect for someone with thick hair. The look of this classic mid fade would serve you well through the office and beyond. 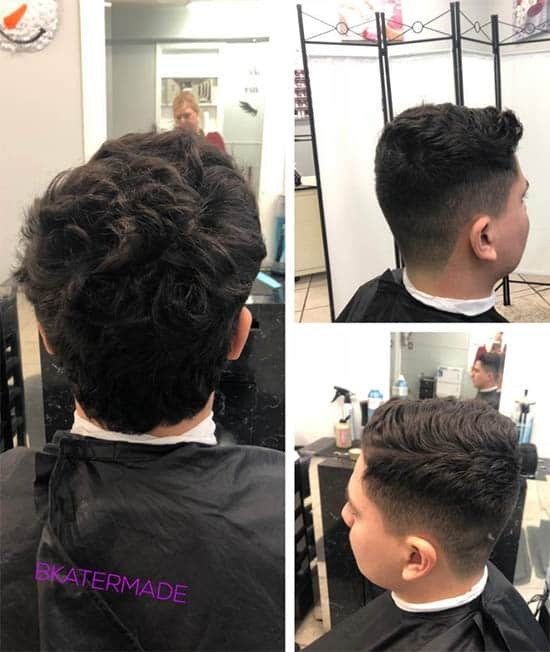 If you are seeking a cut that is very in style, the classic mid fade works quite well! If you’ve got thick hair, you should consider any one of these top styles for your next haircut. Any of these top cuts can be a fantastic way to look your best, even if you consider yourself to have overly thick hair!